Business school applicants are planning to shun US business schools because of Donald Trump’s immigration policies. More than 21% of candidates indicated they agree that Trump’s immigration policies have impacted them, and that they will only apply to schools outside the US, in an annual survey by Stacy Blackman Consulting, an admissions firm. The survey also found that more than 80% of applicants agree that Trump’s stance on immigration will reduce the diversity of US business schools. The survey was conducted during spring of this year, with 755 respondents. The data are the latest indication that MBA candidates are both put off US business schools by Trump’s hardening outlook on immigration, and that schools outside of the US may benefit from that trend. 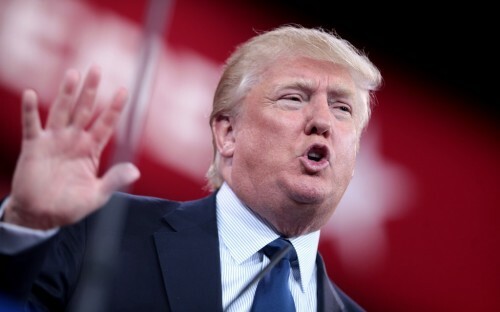 Trump this month controversially promised to cut immigration in half during his presidency, although the legislation is likely to prioritise education and skills. Nevertheless, such policies appear to have pushed some candidates to countries that are viewed as being more welcoming of international students, and which have more progressive immigration policies, such as Canada and some continental European nations. The Stacy Blackman Consulting survey confirms previous research into the negative impact Trump is having on US business schools. Nearly two-thirds of MBA programs there have seen a fall in applications from international candidates, according to a recent survey of 300 business schools by the Graduate Management Admissions Council (GMAC). More than 40% of non-US MBA candidates said they were less likely to apply to US courses because of Trump’s election. US business schools rely heavily on overseas students to fill their MBA courses, with the added diversity enriching their classrooms. The biggest concern among applicants seems to be that Trump will clamp down on work visas, making it more difficult for them to stay in the US after graduating — a key reason for studying there. This is beginning to effect Indian MBA applicants in particular, with more than 80% of them telling GMAC the need to get a job in their host country was “very important”. However, a separate survey from GMAC in June found that 55% of US companies either plan to hire or are open to hiring an international candidate in 2017 — up from 49% that had such plans last year. Yet that does not mean they will be able to do so. There is an annual quota of 85,000 H-1B visas — how most foreign MBAs are hired in the US — and that was breached this year in just four days. US business schools in the middle of prominent MBA rankings are likely to suffer the most. GMAC found the biggest falls in international students applying to US schools were in the midwest of the US. In the northeast and on the west coast, where most of the top-ranked MBAs are, the fall in application numbers was not as bad. Many highly-ranked US business schools can rely on their strong brands, and other factors, to attract international MBA candidates, and many have reported rises in applications this year. At NYU Stern applications are up by 4%.